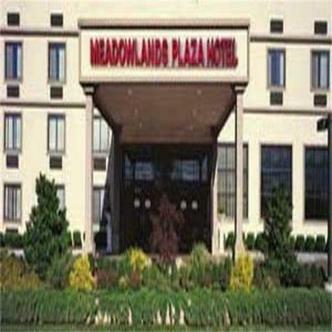 The Meadowlands Plaza Hotel is a full-service hotel featuring 176 rooms and suites, Italian-style restaurant, lounge, fitness center, two (2) small meeting rooms, one (1) boardroom, and two (2) luxurious ballrooms.This first-class hotel is conveniently located approximately 1 mile from the Continental Airlines Arena, Meadowlands Racetrack and Giants Stadium, 10 miles from Newark Liberty International Airport, and 3 miles from Mid-town Manhattan via the Lincoln Tunnel.The Meadowlands Plaza Hotel is the home to La Reggia Restaurant, serving international and Italian cuisine. Guests may savor outstanding meals, accompanied by wine from a vintage collection in a well-appointed atmosphere. Enjoy a cocktail or a night out at our lounge, while being entertained by various styles of music.The goal at the Meadowlands Plaza Hotel is one hundred percent customer satisfaction. The staff and management are determined to providing comfortable accommodations coupled with excellent service. We offer our guests a high standard of personal service, hospitality and comfort at a very competitive rate. This first-class hotel is conveniently located approximately 1 mile from the Continental Airlines Arena, Meadowlands Racetrack and Giants Stadium, 10 miles from Newark Liberty International Airport, and 3 miles from Mid-town Manhattan via the Lincoln Tunnel.